If you have a fireplace in your home you are probably already aware that proper maintenance and usage are essential to safety. There are some “hidden” dangers when using your fireplace that most people do not know about. Before you light that fireplace next winter these are some things that you definitely need to know. A fireplace is NOT a furnace. A good rule of thumb is never to use your fireplace for more than 5 hours at a time. Even though it may be well maintained and properly vented most of today’s fireplaces simply are not intended for unlimited use. It is important to keep the glass doors in the front of your fireplace open when it is in use. This allows for the proper ventilation of smoke and fumes into the chimney and not the room. Also be sure to use the screen. It’s there to help prevent sparks from igniting carpets or other flammable material in the room. Not using the proper fireplace screen is extremely dangerous. If you have carpet it’s a good idea to buy a nonflammable rug for use in front of the fireplace. They are available at most stores that sell fireplace supplies. NEVER leave a fireplace burning when children are present without adult supervision. 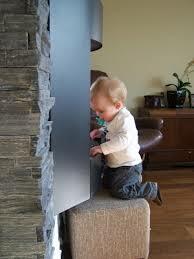 It’s also a good idea to not allow children within a certain distance of the fireplace when it is in use. I suggest a minimum of 5 feet. Clothing burns and children do have a tendency to slip while playing and remember; a fireplace can remain hot for hours after the flame has been extinguished. Always use the proper tools when handling fireplace logs. They may be extremely hot even when they look cool. This is one of the most common injuries suffered by unaware homeowners. When cleaning the glass doors be sure to use only cleaners approved for this purpose. Many “regular” cleaners may be flammable or even explosive when exposed to great heat. Here’s a fact that I’ll bet you didn’t know. Fireplace coals can remain hot for an amazing 3 days. Yes, I said 3 days. That means you NEVER empty the ashes until at least 72 hours after the fire has been extinguished. This is by far the biggest mistake that homeowners make when cleaning their fireplace. Be sure to open the damper and a window in the same room before removing the ashes. This will prevent any airborne ashes from entering the room instead of going up the chimney. Store the ashes in a metal container away from anything that is combustible. Make sure that a chimney cap is installed and working properly before using the fireplace. Bird and animal nests or any blockage of the chimney will cause carbon monoxide to enter the home and you already know how dangerous that is. It’s also necessary to use a spark arrestor to ensure that hot sparks don’t exit the chimney and start a fire on your roof or yard or even someone else’s property. Never use a vacuum cleaner to clean up ashes. They may be just hot enough to cause a fire in the vacuum cleaner itself. Know the proper way to light a fire. Be sure that the damper is open before attempting to start the fire and regardless of the weather outside a window also needs to be open just a few inches. This will force the smoke and ashes from the fire into the chimney where they belong. A good trick is to light a match first and see where the smoke goes when you blow it out. If it doesn’t go directly up the chimney do NOT attempt to light the fireplace until you have resolved the problem. During the months that you use your fireplace it is important to clean it at least weekly if you use it frequently. Too many old ashes and small unburned chips and pieces of wood or kindling may produce sparks and could present a serious fire hazard. In short, a clean fireplace is a safe fireplace. Finally, it is extremely important that you have your chimney inspected and cleaned by a professional. Most chimney sweeps (yes, they’re still called that!) recommend an inspection and cleaning at least once a year or approximately every 80 fires. I’m a firm believer in safety first, especially where fire is concerned. Please follow these rules closely so that you may safely enjoy your fireplace for many years to come.